Roberto looks to make History!!! You may have missed the fact that Everton have been drawn at home to face Queens Park Rangers in the third round of the FA Cup. Ludicrously the draw took place during the first half of the Blues trip to the Emirates to take on Arsenal, as the FA continue to try their hardest to damage the greatest domestic knock out competition in the world, this time by putting the prestigious third round draw up against a top of the table Premier League clash. But enough of the FA and back to the competition itself. The Blues will be delighted with a home tie, although slightly disappointed at taking on a team currently flying high in the top three of the Championship. These clashes against the best of the Football League can prove problematic and Roberto Martinez will need to ensure that Everton are up for the cup and ready to take on all that Harry Redknapp’s QPR can muster. The fixture takes place on the first Saturday of the New Year and comes at the end of the jam-packed Christmas period, with a League fixture away at Stoke City just three days previously. 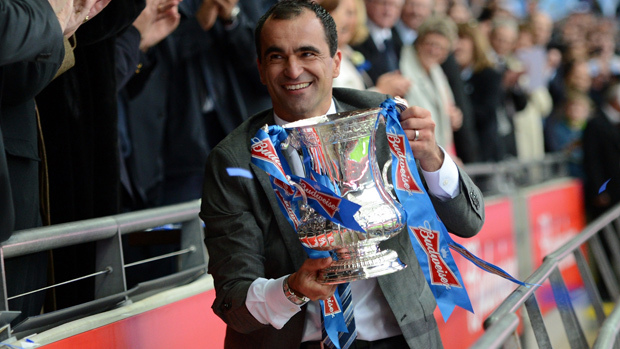 After winning the cup with Wigan last season, Roberto Martinez will be looking to write his name into the history books. Only two managers have won the cup with two different sides and if Roberto and Everton are successful, he will become the first manager to win the cup in consecutive years, whilst managing different teams.